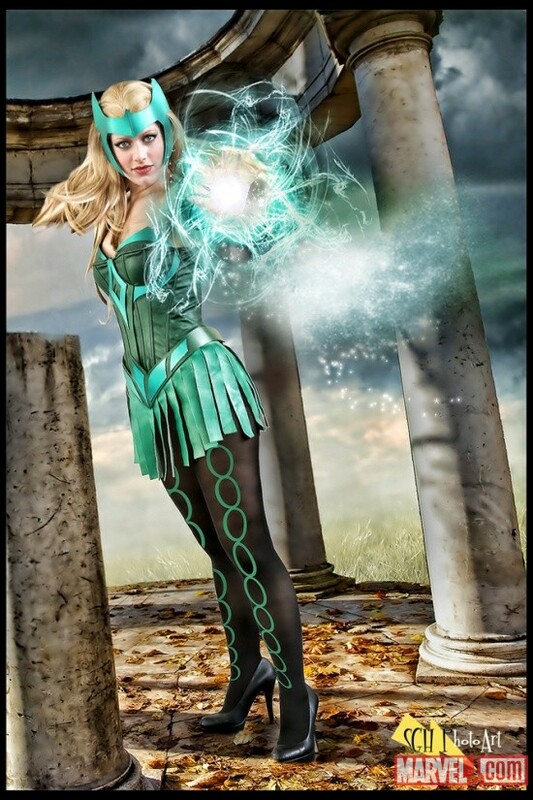 Is the Enchantress the Clairvoyant in Agent's of Shield? Short answer - No, I definetly do not think so. It just does not seem to fit the character. Still there is theory out there that she could be and she is a fan favorite. I would also say that she could appear in the show in the near future. So lets take a closer look at it. 1) She has a high level of magical powers and knowledge which could allow her to be a Clairvoyant. 2) She also may not like to be touched. She is really good looking and is constantly swatting boys hands away. Granted she seems perfectly capable of touching and even seducing people when she wants to. Po the creepy general mentioned to Raina (The girl in the flower dress) that the Clairvoyant does not like to be touched. I still have not figured out exactly what that means. It was a clue that Clark Gregg himself pointed out though. 3) Asgardians have now been in two episodes of agents of Shield. The new Sif/Lorelei episode and Bersker Staff episode so Asgardians are at least around and causing trouble. 4) Her sister Lorelei is being introduced which certainly means the more notable Amora the Enchantress exists somewhere in the Universe. 5) The character would work on TV. All you would need is a good looking blonde actress and a green dress. The character has been featured in a lot of high quality Cosplay already see below. 1) The character does not fit into the Hydra/Centipede/Technology subterfudge world. That really is it. Could the character pull off being the Clairvoyant...YES. Would she? No.